Some people are surprised when they find out that Mitt Romney was not the first Mormon to run for president of the United States. That distinction belonged to Joseph Smith, the founder of the Mormon Church. He decided to run for president after the Church pleaded in vain for the government to compensate the Latter-day Saints (Mormons) for the property lost and afflictions suffered when they were expelled from the state of Missouri as a result of the extermination order in 1838. 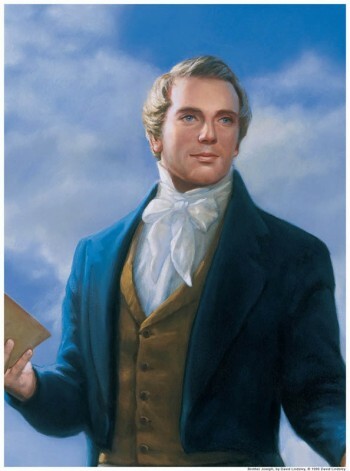 Joseph Smith’s primary motivation for running for president was to do all in his power to protect the Latter-day Saints from the kinds of injustices they had suffered in Missouri. On February 8, 1844, the Prophet declared: “I would not have suffered my name to have been used by my friends on anywise as President of the United States, or candidate for that office, if I and my friends could have had the privilege of enjoying our religious and civil rights as American citizens, even those rights which the Constitution guarantees unto all her citizens alike. But this as a people we have been denied from the beginning. Persecution has rolled upon our heads from time to time, from portions of the United States, like peals of thunder, because of our religion; and no portion of this Government as yet has stepped forward for our relief. And in view of these things, I feel it to be my right and privilege to obtain what influence and power I can, lawfully, in the United States, for the protection of injured innocence” (History of the Church, 6:210-11).